In order to obtain traffic from keyword searches on the major search engines like Google and Yahoo!, you need to be writing about a topic that people want to read about and are actively looking for information about. One of the easiest ways to get a basic idea of what people are looking for online is to check the popularity of keyword searches on websites like Wordtracker, Google AdWords, Google Trends or the Yahoo! Buzz Index. Each of these sites provides a snapshot of keyword popularity at any given time. A good rule to go by is to select one keyword phrase per page then optimize that page to that keyword phrase. Keywords should be relevant to the overall content of your page. 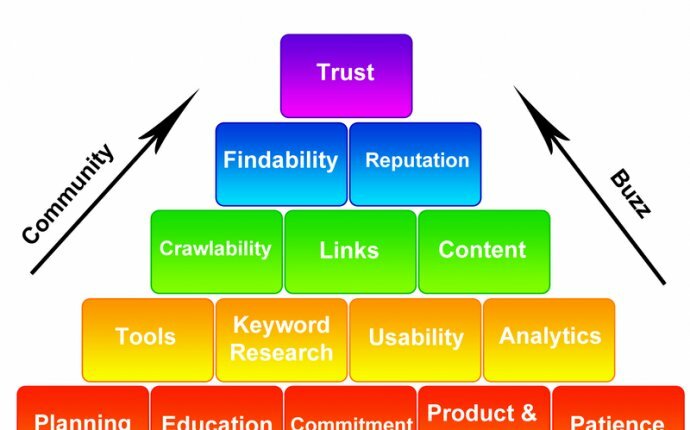 Furthermore, choose specific keywords that are more likely to give you a better search results ranking than a broad term would. For example, consider how many sites use the keyword phrase of "punk music." The competition for ranking using that keyword is likely to be tough. If you choose a more specific keyword like "Green Day concert, " the competition is a lot easier. Once you select the keyword phrase you plan to optimize your page for, make sure you use that phrase in the title of your blog post (or page). Breaking blog posts up using subtitles and section headlines not only makes them more visually appealing on a text heavy computer screen, but it also gives you additional opportunities to use your keyword phrase. It's important that you use your keyword phrase in the body of your blog post. A good goal to try to achieve is to use your keyword phrase at least twice in the first paragraph of your post and as many times as you can (without keyword stuffing - see #10 below) within the first 200 (alternatively, the first 1, 000) words of your post. Search engines count links higher than plain text in their search algorithms, so try to create links that use your keyword phrase. Avoid using links that simply say, "click here" or "more information" as these links will do nothing to help you with your search engine optimization. Leverage the power of links in SEO by including your keyword phrase in them whenever possible. The text surrounding links is typically weighted more heavily by search engines than other text on your page as well. If you can't include your keyword phrase in your link text, try to include it around your link text. Many bloggers see a large amount of traffic sent to their blogs from image searches on search engines. Make the images you use in your blog work for you in terms of SEO. Make sure your image filenames and captions include your keyword phrase. There are differing opinions on this issue with one group of people saying that Google and other search engines ignore the text included in the HTML block quote tag when crawling a web page. Therefore, the text within the block quote tag won't be included in terms of SEO. Until a more definitive answer can be determined to this issue, it's a good idea to keep it in mind and use the block quote tag cautiously. Search engines penalize sites that stuff pages full of keywords simply to increase their rankings through keyword searches. Some sites are even banned from inclusion in search engine results because of keyword stuffing. Keyword stuffing is considered a form of spamming, and search engines have zero tolerance for it. Keep this in mind as you optimize your blog posts for search engines using your specific keyword phrase. @I'm Drunk SEO Robot! : 7 White Hat SEO Techniques to Double Your Revenue with Cross-Channel Advertising by.